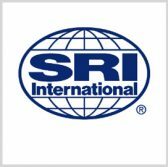 SRI International has entered into a cooperative research and development agreement with the National Institute of Standards and Technology to lead a new consortium tasked to advance research and development efforts in quantum science. NIST said Friday the Quantum Economic Development Consortium’s responsibilities will include participating in quantum device design and prototyping projects, identifying workforce needs for the development of quantum technologies, boosting public-private sector collaborations and procuring modern technologies to fill research gaps. QEDC will also work to provide access to quantum engineering capabilities to promote the development of new technologies and scientific processes. NIST and the Menlo Park, Calif.-based research center will organize a workshop in the next few months to expound on the organization’s structure and research focus. Walter Copan, undersecretary for standards and technology at the Commerce Department and director of NIST, said QEDC will consolidate quantum R&D innovations from public and private sector entities and academic institutions to help pave the way for the country to lead in scientific discovery and development efforts. NIST formed the consortium after the Trump administration released the National Strategic Overview for Quantum Information Science, which seeks to aid in the government’s goal of meeting quantum information science requirements.